Black River Productions Limited was founded by documentary filmmaker Neal Livingston in 1987 to enhance his film and video production capabilities. Livingston is a filmmaker, director, and producer with a long filmmaking history. His films have been broadcast extensively, primarily in Canada, and also in the UK, USA, and Australia. Many of his productions have been seen at festivals around the world where he has been an invited guest. Livingston makes political documentaries on environmental issues, and portraits of people and communities. Many of his films have humourous dimensions. 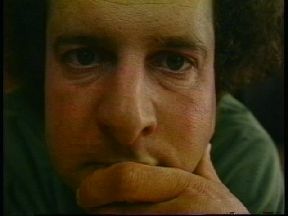 Neal Livingston began making documentaries when he finished his BFA in film in 1976. Between 1978 and 1994 four of Neal's documentaries were screened at the Museum of Modern Art in New York City weekly film series. The films screened at the MOMA were Budworks, Water Power, Herbicide Trials, and Both Sides Of The Wire. Retrospectives of Livingston's work were held at the Cinematheque Quebecoise in Montreal for 2 nights in 2001, and at the Confederation Centre of the Arts in Prince Edward Island in 1998. Two of Neal Livingston's films, Michel in a Suête and Snow on the Lake were selected for screening in the Vancouver 2010 Cultural Olympiad Digital Edition during the winter Olympics. These films were the only one's chosen from Eastern Canada for screening. 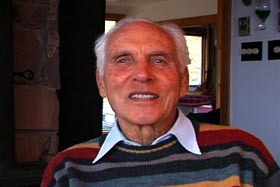 See video clips of many of Neal Livingston's films on YouTube and Vimeo. Rent or Purchase Neal's Films via Vimeo on Demand. DVDs can be ordered by using the Paypal links on each film page or contact us. Rudy Haase is Black River Productions newest film completed in 2007 after 3 years in the making. It is a biography about Canada's great unknown environmentalist, Rudy Haase, who turned 85 in 2007. 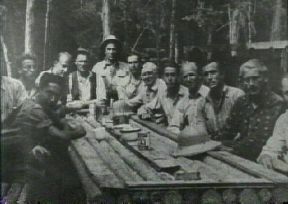 Haase's life long work has included many successful campaigns and preservation of wilderness. He was a close colleague of the famous American back-to-the-land gurus, Helen and Scott Nearing. Haase is a colleague and friend of Elizabeth May, leader of the Green Party of Canada, who is shown in the film over a period of 30 years. The film is also a primer on environmentalism. In 2002 Livingston released One Day a September 11th story. It is an experimental documentary dealing with the events of the tragedy in New York City. 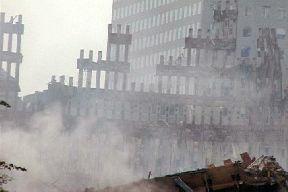 The filmmakers dialogue is about visiting New York City before and after the disaster-with footage taken years ago in the World Trade Centre, at the end of September 2001, and in January 2002. One Day portrays two New Yorkers exploring lower Manhattan, seeing the burning ruins, talking of their feelings of the event, and a public memorial by a Navajo spiritual elder. One Day received an Honourable Mention award at the Earthvision 2003 Festival in Santa Cruz, California. The Battle At Our Shores, 2002 an award-winning incisive, yet humorous, documentary which examines opposition to the first inshore and coastal oil and gas exploration licenses in Nova Scotia. 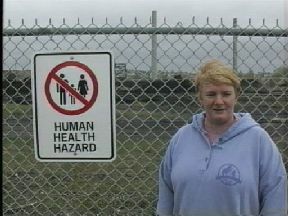 Toxic Partners (1999), narrated by David Suzuki, concerns two communities with toxic waste sites; Sydney, Nova Scotia and Fort Valley, Georgia, and the human suffering caused by this pollution. 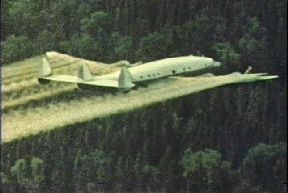 The Cape Breton Endangered Spaces (1990), is a video shot from the air in south-western Cape Breton Island, documenting massive clear-cutting of old-growth forests. His most famous and controversial film Herbicide Trials (1984) examined the social, political, legal, and environmental battle against the aerial spraying of herbicides on Nova Scotia's forests. Budworks (1978) is a film which takes a stand against the aerial spraying of insecticides on New Brunswick's forests, and the citizen action in Nova Scotia that stopped a planned spraying program there. Suêtes (1999), and Michel in a Suête (1998). 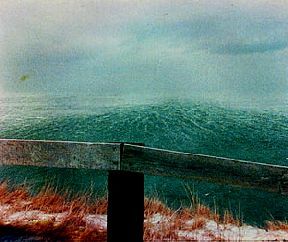 Both films document the reality of the hurricane force wind storms that batter the North West Coast of Cape Breton Island. Suêtes is equal parts meteorological documentary and humourous anecdotes, while the award winning Michel in the Suête is about one man's hilarious battle against the wind. Suêtes was profiled in January 2000 across the USA on NPR radio, and both films have been broadcast nationally on television across Canada. 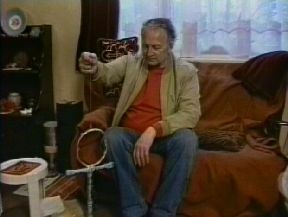 The Paper Age and Ancient Flight (1992), an examination of the ideas of amateur British Egyptologist William Deiches who believed the ancients knew how to fly, and who has built hundreds of models of ancient aircraft. The Disappearance of John Ashby (1990), who never came back from a trip to New York City. John Dunsworth: The Candidate (1989), the Trailer Park Boys alumnus running for the NDP. John Nesbitt: Sculptor (1987), a portrait of this remarkable Canadian sculptor. 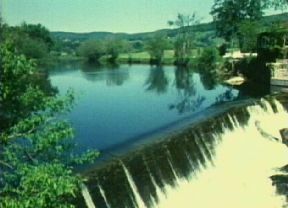 Livingston's personal experiences in building a small hydro operation for his own use led him to produce two films focusing on the resurgence of small water power as a renewable energy form. Water Power (1981) is a how to, and history of micro-hydro. A Portrait of Small Hydro (1983) documents some of the first new small hydro developers in New England. Both Sides of the Wire (1993), a 47 minute documentary film about what has become of a group of refugees from Nazi oppression who were imprisoned in Canada in 1940. Mabou Fights Back (1992) documents the amazing story of an entire community that fought Canada Post to try to retain its postal service. Snow on the Lake, (2000): Snow blows over a frozen lake in a frigid winter landscape. 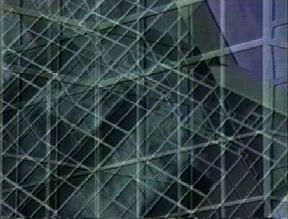 Licking the Window (1995): a psychedelic road movie. Trees and Elevators (1990): four seasons of rural Cape Breton Island and urban images of Halifax, Nova Scotia.